The Time is Now to Defeat ALS! Every 9- minutes a person in the United States is diagnosed with Amyotrophic lateral sclerosis (ALS). The life expectancy of a person with ALS averages two to five years from the time of diagnosis. Simply put, ALS can strike anyone. Although there is no known cause of the disease today, endless support is bringing researchers closer to an answer every day. 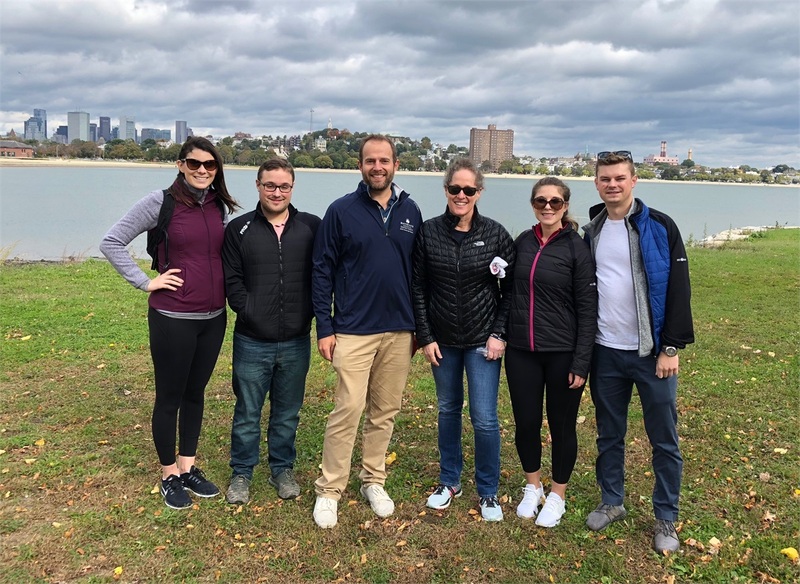 On October 20, 2018, members of the SFP Wealth team joined the movement by participating in the Boston Walk to Defeat ALS®. 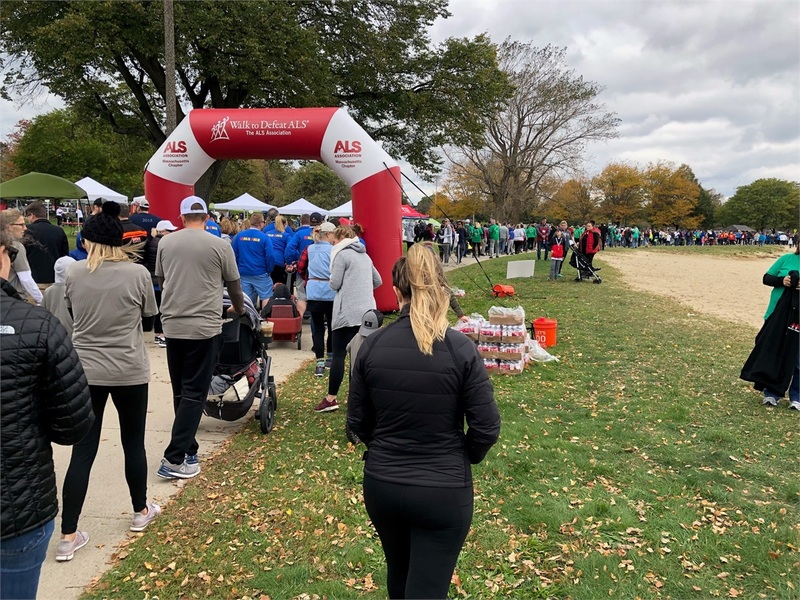 Our team walked in memory of our dear friend Greg G. Our team, in conjunction with the Baystate Charitable Foundation, raised over $2,000 for the ALS Foundation. We look forward to continued participation in this annual event! Pictured (left to right): Emily Simcoke, Tim Over, Dan Cappucci, Amy Fradkin, Morgan Pace, and Matt Kiley. 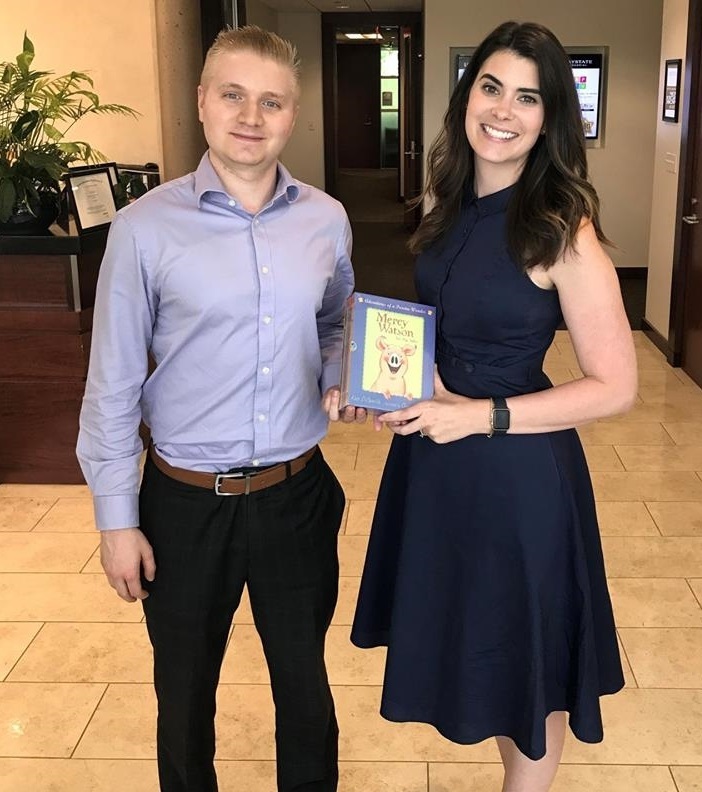 Since October of 2017, Raymond Pedrick and Emily Simcoke have volunteered at the “Read to a Child Lunchtime Reading Program” at the William F. Stanley Elementary School. Read to a Child is a non-profit organization that promotes and inspires a love for reading while improving literacy skills. According to research, reading aloud to a child is one of the most important activities for enabling a child’s success in life. With over 1,800 volunteers, Read to a Child has reached over 1,400 at-risk elementary school students not only in the greater Boston area, but Miami, Hartford, Los Angeles, and Detroit as well. SFP Wealth is proud to support this program and looks forward to participating for years to come! Pictured (left to right): Raymond Pedrick and Emily Simcoke. 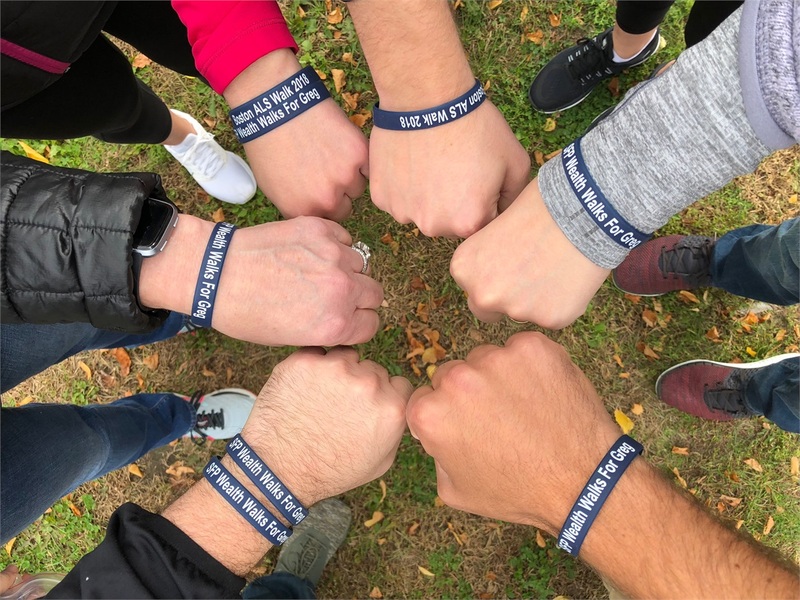 In January of 2018, a call for help came to the Baystate Financial family; Matt, one of the Baystate Financial board members, was stricken with cancer. In less than one week, thousands of dollars were raised via a t-shirt drive to support Matt's treatment at the Dana Farber Cancer Institute. The SFP Wealth team will continue to wear our t-shirts as Matt heals and we stay #MAStrong! Pictured (left to right): Julia Skamarycz, Michelle Cerone, Dan McDonnell, Morgan Pace, Raymond Pedrick, Jim Griglun, Eli Siegel, Dan Cappucci, Emily Simcoke, Amy Fradkin, Matt Kiley, Andrew Cleary, and JD Verniero. The annual Jimmy Fund Scooper Bowl is the nation's largest all-you-can-eat ice cream festival. The Scooper Bowl serves up ice cream and frozen yogurt from the nation's leading ice cream companies to support cancer research. Since its inception in 1983, the Jimmy Fund Scooper Bowl has raised more than $5 million for cancer research and care at Dana-Farber Cancer Institute. 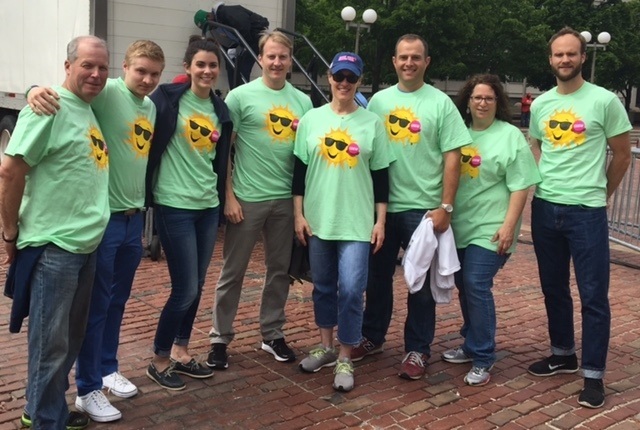 The SFP Wealth Team volunteered their time in June of 2016 and had a great time scooping ice cream, selling tickets and raising funds for cancer research. 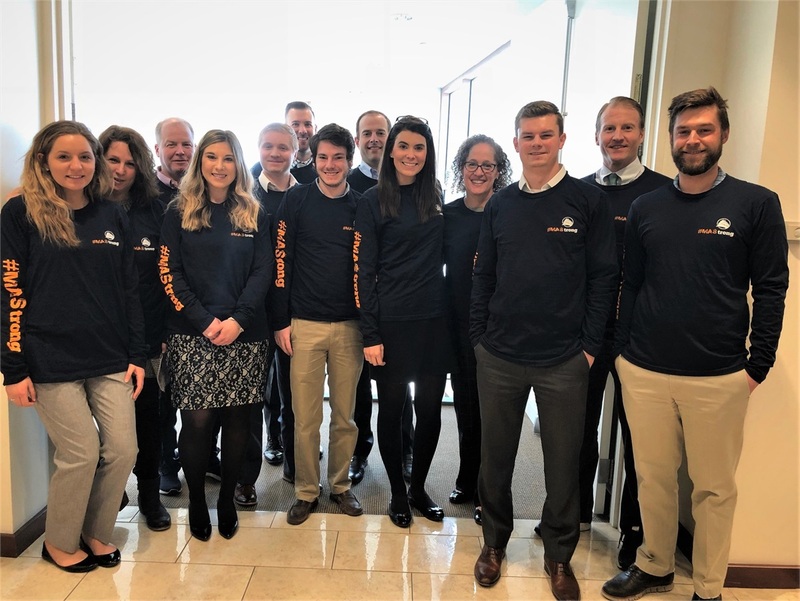 Pictured (left to right): Dan McDonnell, Raymond Pedrick, Emily Cluff, Andrew Cleary, Amy Fradkin, Dan Cappucci, Michelle Cerone and Seth Waltz. At one time, the Stone Zoo's playground was nothing more than a fenced-in concrete black top with an old basketball hoop. With the help of almost 200 community volunteers, this eyesore was quickly converted into a beautiful new playground and community garden, in one day! The playground's design is based off of elements from drawings created by children from the Stoneham community. The project is part of Baystate Financial Charitable Foundation's ongoing commitment to serving the greater Boston community. The project was sponsored by the nonprofit KaBOOM!, a group that develops playgrounds in underserved areas across the country. 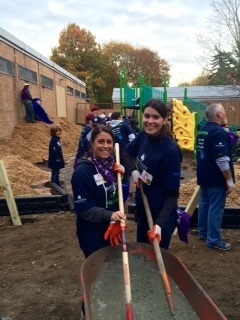 Members of the SFP Wealth Team proudly took part in this endeavor and moved mulch for the playground base, assembled play equipment, painted colorful murals and planted flower and vegetable beds. It was a memorable experience for all and powerful reminder of the importance of team work. 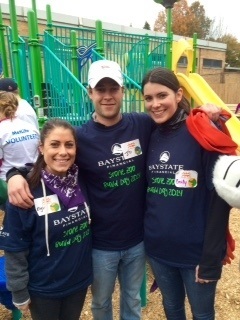 Pictured (left to right): Elyse Citroni, JD Verniero and Emily Cluff.